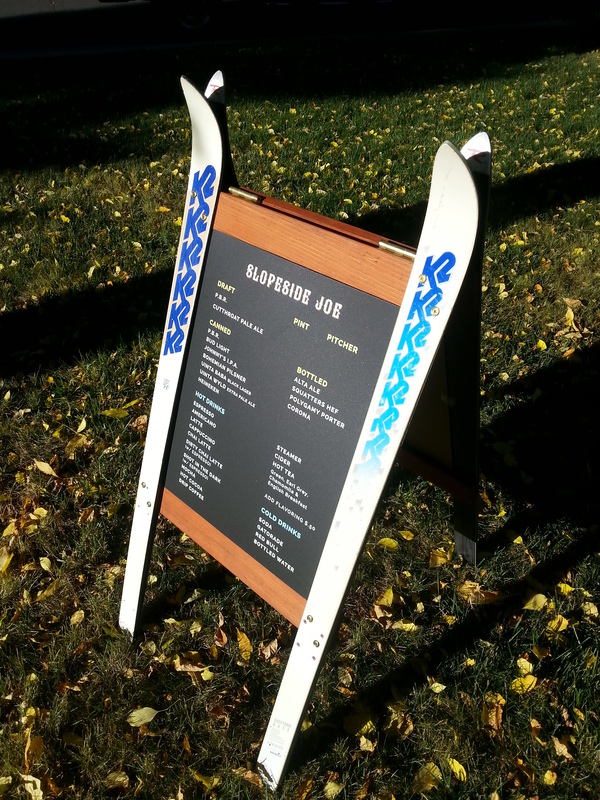 Busy fall creating sandwich board signs for several businesses, including a coffeeshop at the base of a ski area in Utah and Anheuser Busch (Bud Light, Budweiser) for Vail Resorts. The What we make webpage has been updated and shows recently added products. As always, tables, sandwich board signs, and other large items are still custom order. Business card holders, ski tip wine holders, and coat racks can be purchased online (the site has been turned back on for purchases). When you do, I will confirm which specific one you would like before shipping. Items go quick this time of year so order soon! If you’re like me, you’re spending the last days of summer strategizing ski pass purchases and dreaming of fall. It also means you’re hoarding old skis. I’ve been on the hunt since moving back to Colorado this summer for old skis. So far, 20 pairs have been selected. Sales on the website are back up and running. Everything is available except business card holders, which are sold out. I should have more by the holidays. As always, for custom items like tables, please contact me. I already have a waiting list for fall. 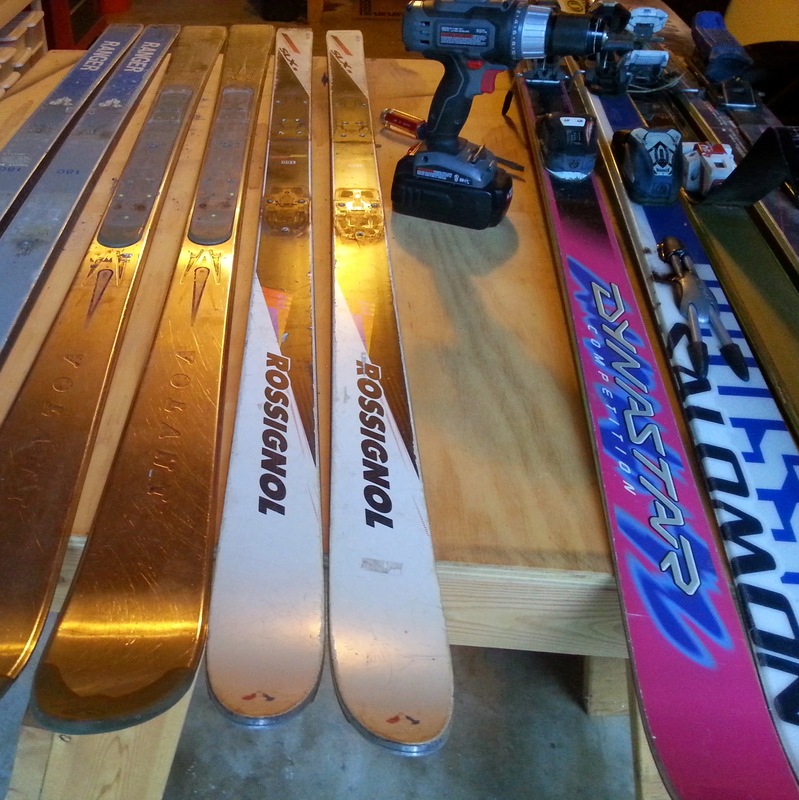 Yes, it’s still ski season, but the season of re-purposing old skis has come to an end. I’m getting ready to move this summer and the shop is being packed up. As such, I’m turning off purchases through this site until late summer just so I don’t miss fulfilling an order. If you can’t wait, however, contact me and I’m sure I can help out. Building furniture from skis apparently isn’t the only way to recycle old skis. SIA (Snowsports Industries America) has been rolling out a recycling program that is currently available in Denver, Reno, and Salt Lake City. For more information, visit their website and checkout the video below. Now I just need to find a way to rummage through their skis before they’re pulverized. 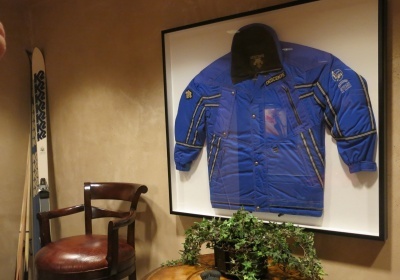 However, when reading this article and seeing the associated picture (below) I did realize that I had used his same pair of skis in a few creations, such as a wine holder. ‘Tis the season for gift giving and skiing. Or the giving of old skis as gifts. Business card holders and ski tip wine holders can be purchased online. When you do, I will confirm which specific one you would like before shipping. For all other orders (3 wine bottle holders, coat racks, etc. ), please contact me.